I can’t believe that it’s already November and there are just a few short weeks left in the fall semester here at Goizueta Business School. Friday evening kicked off with one of my favorite Goizueta traditions, The International Potluck. 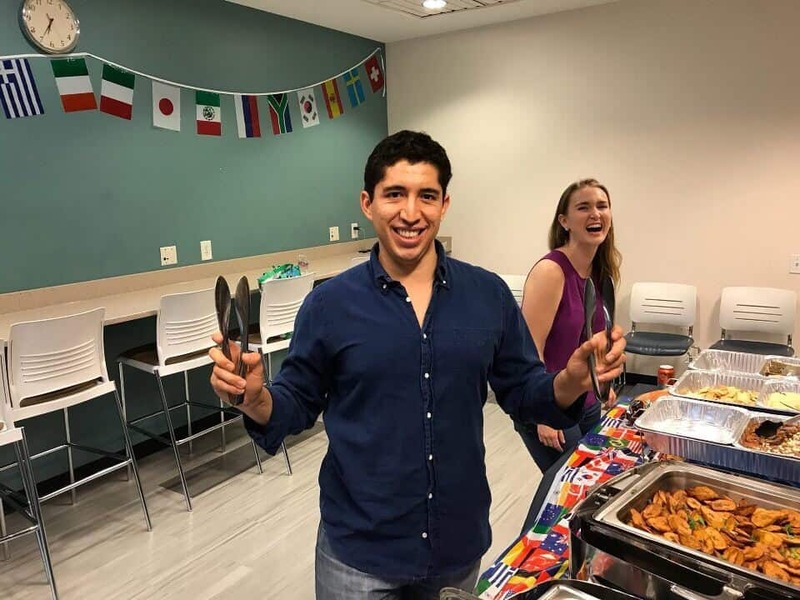 I have been lucky enough to experience the potluck for three years running, my first time as a prospective student during our fall diversity open house, Inside Goizueta, and twice more as a first-year and second-year MBA. 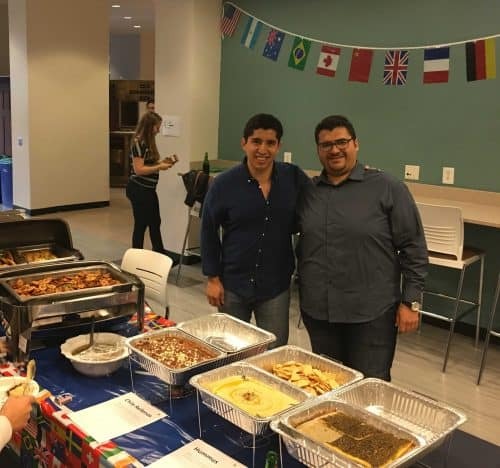 The International Potluck is a wonderful event where members of the school — students, family and friends, faculty and staff — gather together on campus to embrace Goizueta’s core values of community and diversity. Students and partners bring a special dish or menu item that represents their home culture, geography or background, and everyone is invited to break bread and share each other’s specially prepared dishes and company in the Coca-Cola Commons. 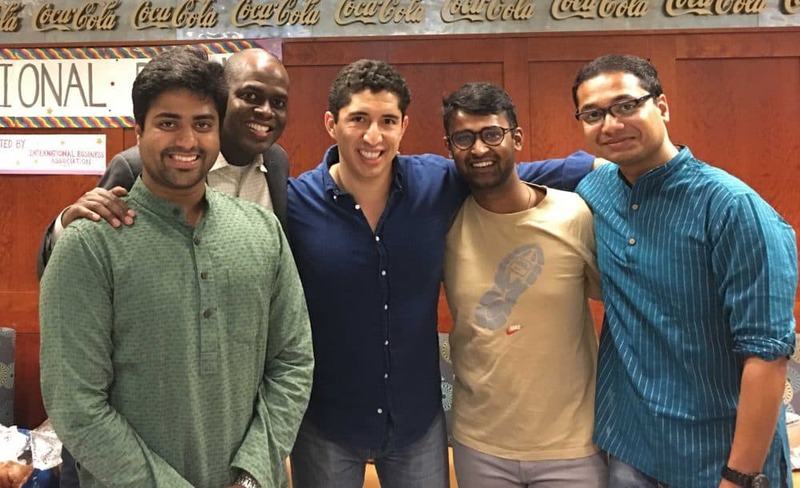 The International Potluck is organized by the International Business Association, and members of our many cultural clubs participate, including the Black MBA Association, the Goizueta Latino Business Association, the Goizueta Jewish Life and the South Asian Student Association. Each club brings dishes to share with their classmates. This year, I represented the GLBA and we sponsored traditional Latin American plates for people to try. We brought beef empanadas, maduros (fried plantains) and a tasty guava empanada for dessert. Some other popular highlights from around the globe were the Indian matar paneer and baked chicken tikka masala, South Korean beef bulgolgi, Chinese spicy chicken wings and Southern-style pimento mac and cheese. The International Potluck is a great way to be introduced to new foods, different cultures and build stronger bonds with your classmates — all within this diverse microcosm of our business school. Reflecting on this experience, I’m proud to be a part of an MBA program whose student body and reputation have an international presence and a global mindset. Until next time! JP Ortiz is a second-year MBA student studying Marketing and Finance. He graduated from Colgate University with Bachelor of Arts in Spanish and philosophy. Prior to business school, JP worked for the Home Office of Abercrombie & Fitch as a merchant and then spent three years working for his alma mater as an Assistant Dean of Admission leading the university’s diversity recruitment efforts. This past summer, he interned at The Coca-Cola Company in brand marketing.